What is hope? Hope gives wind to our sails, lift to our wings, lightness to our hearts. 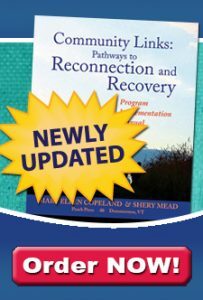 Hope – along with personal responsibility, support, education, self-advocacy and spirituality – is the foundation of the Wellness Recovery Action Plan, a mental-health wellness program that I facilitate. But there have been times in the course of my mental illnesses over the past 16 years when I could not find hope. It was elusive. No matter how many corners I turned, I could not find hope. Sometimes, I was in the dark depths of depression when all I could wish for was death, an end to my torment. But I literally turned a corner, and there it was – hope. It was early spring in 2003 – almost a year since I had been last hospitalized, and I was going through the motions, searching for hope, searching for something to cling to – when I suddenly found it. It was early morning in Harvard, and I was out for my daily 3- or 4-mile jog. I was just beginning, rounding the corner from McComb Street to Jefferson Street, past the railroad tracks, when something indescribably beautiful suddenly appeared. It was just a small patch of grass, but the sharpest, most brilliant green I had ever seen, and I swear, the most beautiful sight I had ever seen. And it was just a small patch of grass. It was as if scales had been removed from my eyes. Scales through which everything was seen in hues of gray. Scales of depression. I gasped and slowed down, trying to take it all in without breaking my stride. The grass was greener than the brightest emeralds. It was as if I had never seen color before. Suddenly, my vision was clear, a miracle from the hand of God. I could see color again. I could see the blue of the clear sky, the multi-colors of houses, the red of the fire hydrants, the oranges of the setting sun. Over the coming weeks, all of my senses came alive – the sweet smell of lilacs and other flowering bushes, the pungent aroma of that barnyard on the curve in Hunter Road that splits a farmstead in half, the feel of each blade of grass beneath my bare feet, the taste of pepperoni pizza and chocolate cake, the touch of my daughter’s face, the melodious sounds of music, the rush of the wind. It was as if I had been born again, experiencing everything for the first time, with the wonder of a child who happened to be in his mid-40s. I was overwhelmed – in a good way. I was enveloped in creation. I was given a new lease on life. I was given a bold second chance to recast my life, to start all over. All that was bad was in a past that grew more distant each day. How many times are we given a new chance to start over with a blank slate and only the richness of possibility in the future? I would move on to meet and marry my soul mate, enlarge my loving family, find new and meaningful work, use my lived experiences to help others, attend a year of seminary with the chance for a second year in the offing, learn to dance, gain a new understanding of myself. 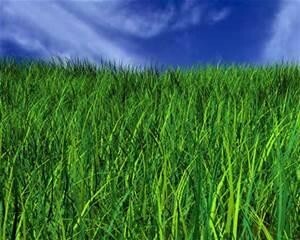 And when I think of hope, I think of that patch of grass, seeing green like I had never seen it before. Days of gray would come again, depression would return. But on those days, I couldn’t help but think of that patch of grass that lit up my life. Eventually, I knew I would round that corner again and see the colors in all their glory. That was hope. My senses were alive. I was alive like never before. I wanted to live to see that patch of grass again. And I have seen it time and again in my own mind’s eye. It gives me hope for tomorrow that things will be better, that circumstances will improve, that night will turn into day, that dreams will become reality. Hope knows no limits, it stretches beyond the horizon. Hope is found in each of our hearts. Hope, indeed, springs eternal.